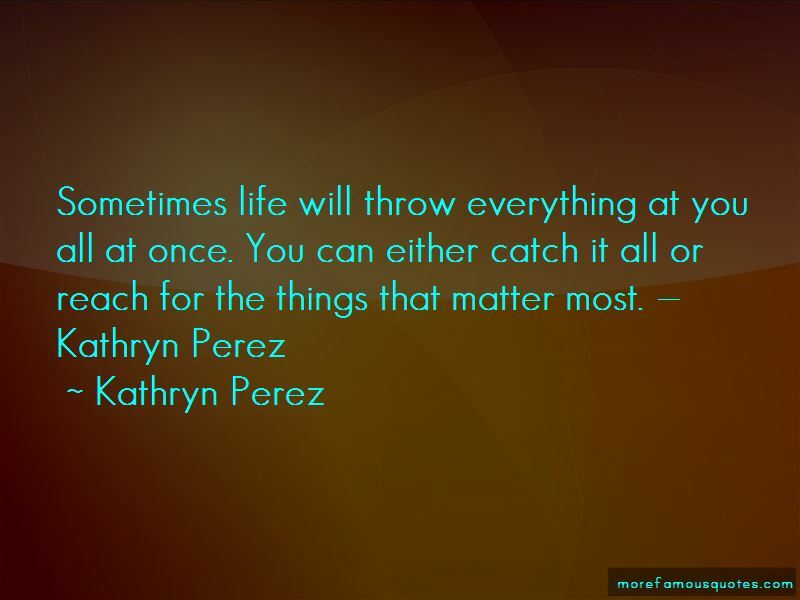 Enjoy the top 68 famous quotes, sayings and quotations by Kathryn Perez. You're worth more than you think. You just have to believe that; then everyone else will too. Words. Time. Opportunity. These are things we can never get back. Not even in death. Jessica, you're my here, my there, and my always everywhere. Together or apart, you've awakened a part of me that's been locked away for the past year. I love you and if loving you is wrong, then I don't ever want to be right. Let me go, Jace," she says quietly. I'm capable of making you capable. I might as well have said I carried a watermelon like Baby did in Dirty Dancing. I'm an idiot. Just because someone is different doesn't mean they aren't worthy of others' respect. 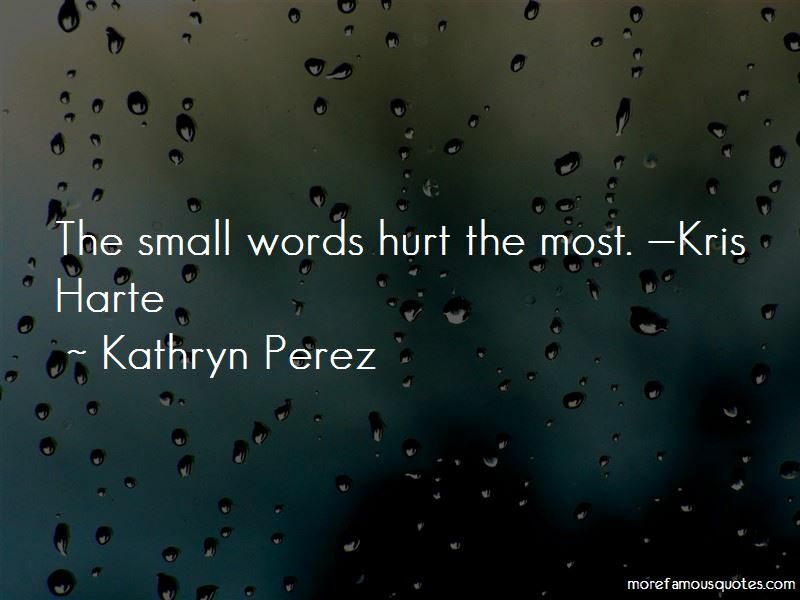 Want to see more pictures of Kathryn Perez quotes? Click on image of Kathryn Perez quotes to view full size.